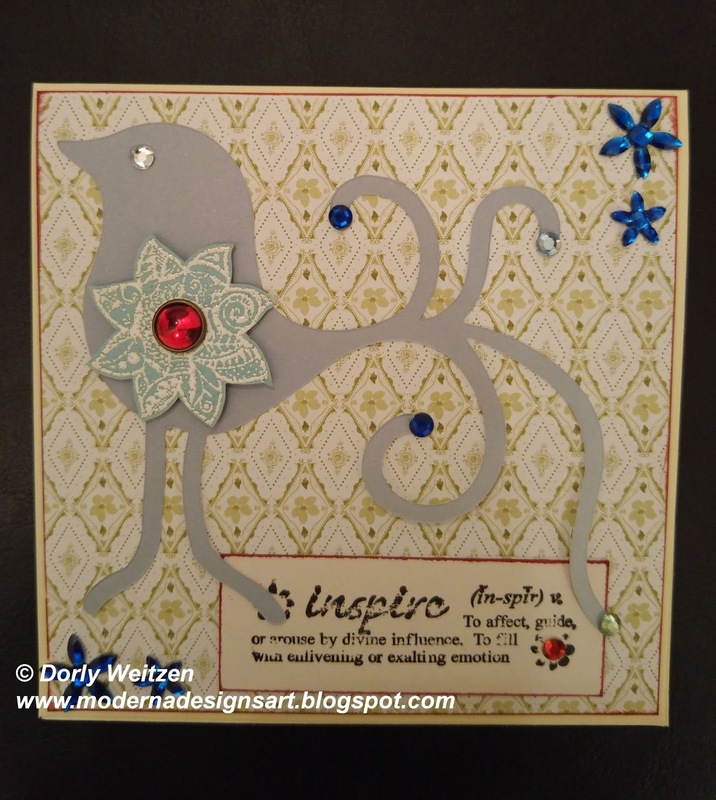 My 5th card for this week is a clean and simple Bird and Flower Inspire Card. I used Michael Strong's Cloisonné Flower stamp (small) from the MiniShapes set, which I heat embossed and cut, then adhered it 3D. 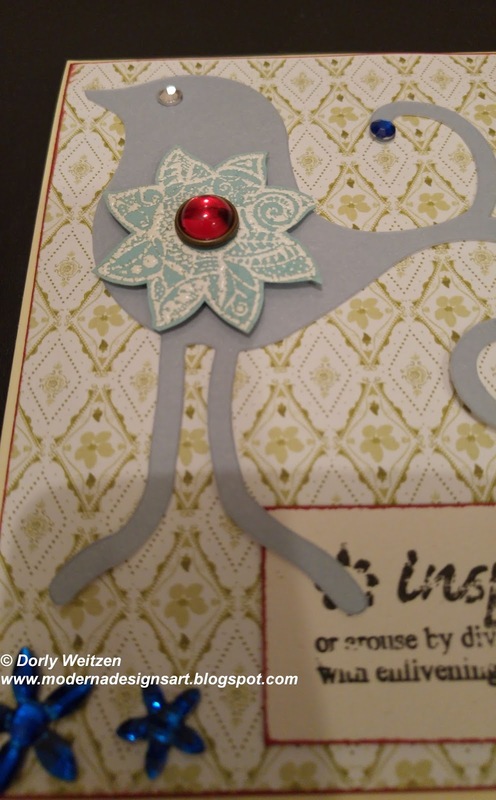 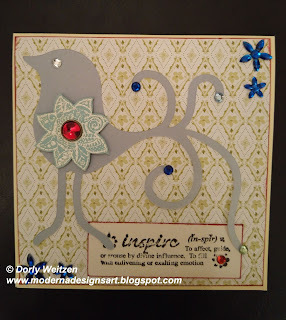 I used a patterned paper for the background (for a change… lol) along with a swirly Bird die cut, an Inspire stamp and several blings.